I had $206, but I've spent some since then. I have $146 left for the month. That's not too far off target. We've been eating well. Had one of those chickens from month 1 the other day, tonight we'll have porkchops and I've had some fancy salads for lunch. Like this one. It has pomegranate seeds that I froze when I ended up with several of them on sale. 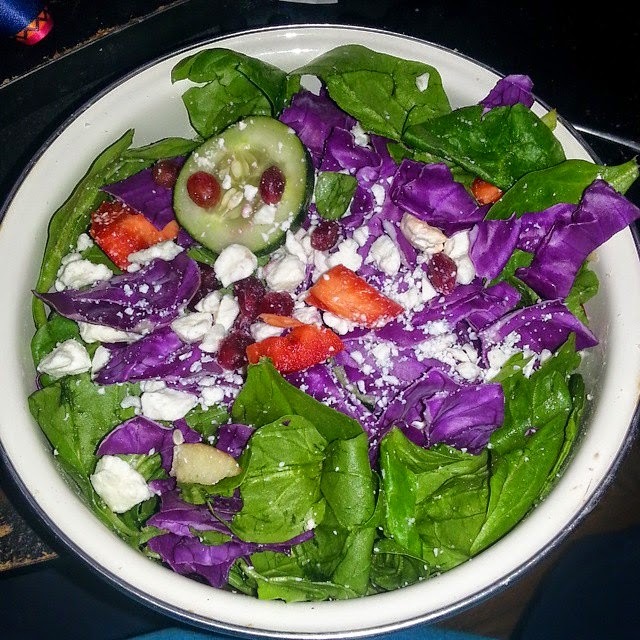 Colorful salads are the best!